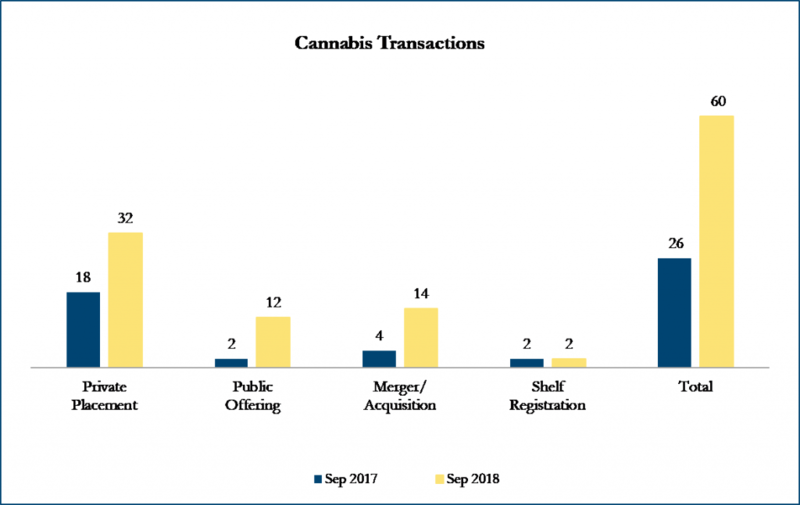 September 2018 Cannabis Transactions – Sinclair Range Inc.
On September 10, 2018, Aurora Cannabis, a producer and distributer of medical marijuana products in Canada announced that it had entered into an agreement to acquire rival ICC Labs, in an all-share transaction with an EV (Enterprise Value) of C$290 million at an implied consensus EV/Calendar 2021 EBITDA (Earnings before interest, taxes and depreciation and amortization) of 15.5x. The offer represents a 34% premium on the 20 day volume-weighted average trading price of ICC Shares for the period ending August 22, 2018, the last trading day prior to ICC issuing a news release in respect of a media report speculating as to a potential transaction involving the acquisition of ICC. Aurora says ICC has over 70 per cent market share in Uruguay, where cannabis is legal for adult consumer use. ICC also holds licenses in Colombia for the production of medical cannabis.